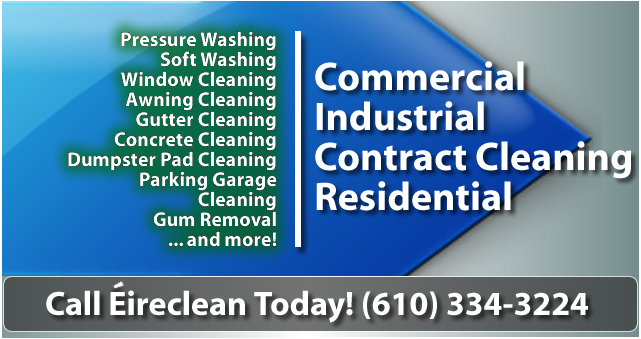 Based in the Lehigh Valley area, ÉireClean offers commercial and residential window cleaning throughout Eastern Pennsylvania, New Jersey, Delaware and Maryland. Dirty windows in your home, office or storefront are a dreadful sight indeed! 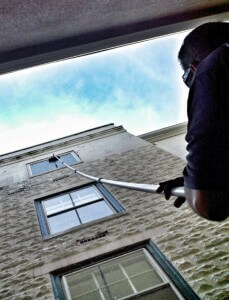 Why not wash away the problem with Eireclean’s professional window cleaning services? We offer solutions tailor-made to each property’s individual needs. ÉireClean has been providing window cleaning in Eastern Pennsyvania, Maryland, Delaware, and New Jersey since 2001. We perform friendly and efficient professional window cleaning for homes, retail businesses, outlets, business parks, and homeowner associations. 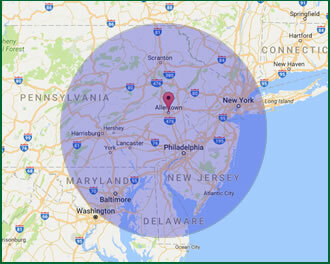 ÉireClean has been providing window cleaning in Eastern PA, Maryland, Delaware, and New Jersey since 2001. 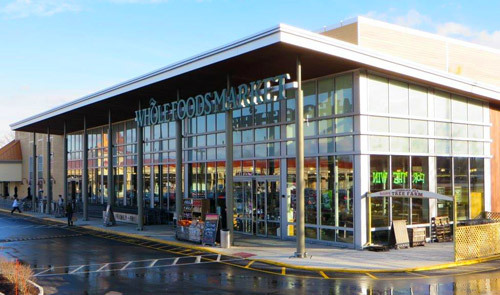 We perform efficient and professional window cleaning for retail businesses, outlets, business parks, homeowner associations, and residential properties. For those who have glass that reaches several stories we employ RODI (Reverse Osmosis Deionized) water-fed pole cleaning. The distinct advantage of RODI is that its pure water rinse leaves your windows streak free and spotless. Also, water-fed window cleaning often greatly reduces costs for you, the customer, because for most applications it replaces the need for rappelling & expensive rental lifts.